When are you entitled to claim compensation for ankle pain? The use of the word accident is quite wide – it can include road traffic accidents, work accidents (including injury caused by a faulty working practice), medical negligence and even slips and trips. Practically an accident means an act which was not done deliberately – if such an act causes you injury you are protected by UK law and can claim compensation. What body parts is your ankle made up of? Your ankle is ball joint made up of various tendons, ligaments, muscles and one main ankle bone – known as the talus. A tendon which attaches at the back of your ankle is known as the Achilles tendon and the muscle at the side of your ankle is known as the peroneus longus or fibularis longus. The ankle forms part of your foot – click foot injury claim to see the page I have written setting out compensation amounts for foot injuries. An injured ankle can cause significant problems and a broken anklebone can lead to the risk of arthritis. What are the main types of compensation you can claim? Whatever type of accident causes your ankle injury does not matter for the purpose of deciding how much compensation you can claim. This is how much your actual injury is worth – it is the pain and suffering you feel as a result of your ankle injury. Lawyers use the legal term “general damages” – it is compensation which applies generally for that specific type ankle injury. 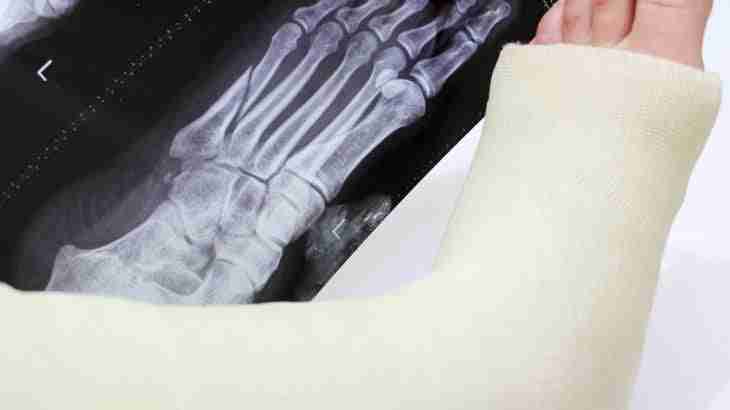 If as a result of your ankle injury you incur financial losses you are entitled to compensation for these sums, which include medical expenses, lost income, travel expenses. These are known as “special damages” as they are specific to the person who as suffered injury – the amount of compensation awarded is based on receipts and other evidence to prove the loss that you have actually occurred. Click car accident compensation to see I page I have written setting out what you can claim in a car accident – but the losses apply equally to any type of accident claim. How does your accident solicitor calculate the amount of compensation you can claim for ankle pain? Your solicitor will first obtain a medical report from a specialist medical expert, an orthopaedic consultant, setting out the injuries you have suffered, the severity of the pain with a prognosis (a medical prediction) describing what the future holds for your likely recovery from the ankle pain. Next, your accident lawyer will look at cases that have been decided in the UK courts for similar ankle pain described in the medical report – there are many thousands of cases that can be referred to. When a similar injury is found your solicitor can rely on this case as a precedent – in other words the case can be produced to the other side or to the court to show how much money has been awarded in the past. In addition your solicitor will have access to a guide of cases previously decided by the courts – known as the Judicial Studies Board Guidelines. The Judicial College Guidelines set out a range of compensation settlement amounts for various different levels of ankle pain – from small injuries (sprains) to serious injuries leading to permanent disability. In the worst types of ankle injury you might be left deformed and permanent loss of mobility in the ankle joint. An ankle arthrodesis is the medical name given to an operation which causes fusion of bones in the ankle to relieve pain. On this page I have set out the amounts of compensation you can claim for ankle pain caused in a UK accident. I recommend you click compensation amounts to see examples of how much compensation you can expect for other types of injuries or click ankle injury claim solicitor and I will assess your ankle pain claim online free of charge.